Pumpkin Ketchup – Dig Delve – An online magazine about gardens, landscape, growing & making. As Dan wrote recently, at this time of year we often find that some of our pumpkins have started to deteriorate in storage. These are usually the varieties that contain more water. Unless damaged or frosted, those higher in dry matter generally have a longer storage life. Last year, and due to a lack of storage space while our building works were taking place, we were faced with a depressingly large number which were fast heading in only one direction. The compost heap. Determined not to lose such a good harvest I resolved to find a way of preserving them. However, there is only so much soup and puree that the freezer can take. Or that you want to eat. 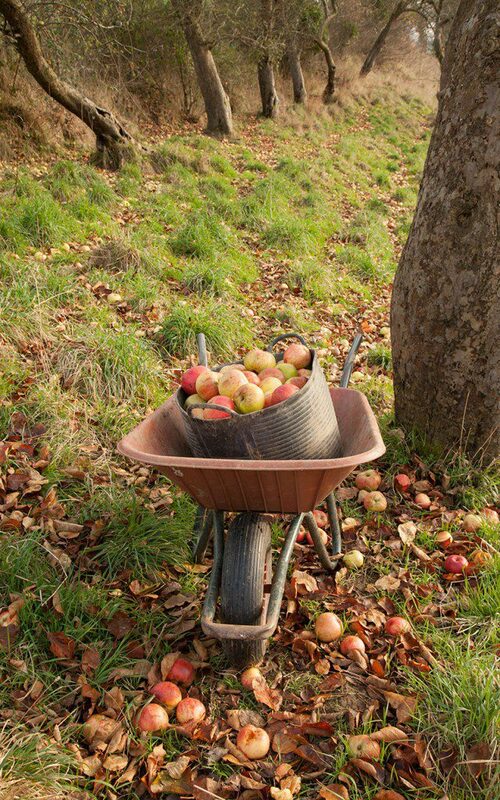 I had had success the previous year developing a recipe for brown sauce, which had been initiated by a similar desire to make the most of the windfall apples from the old orchard in our top fields. 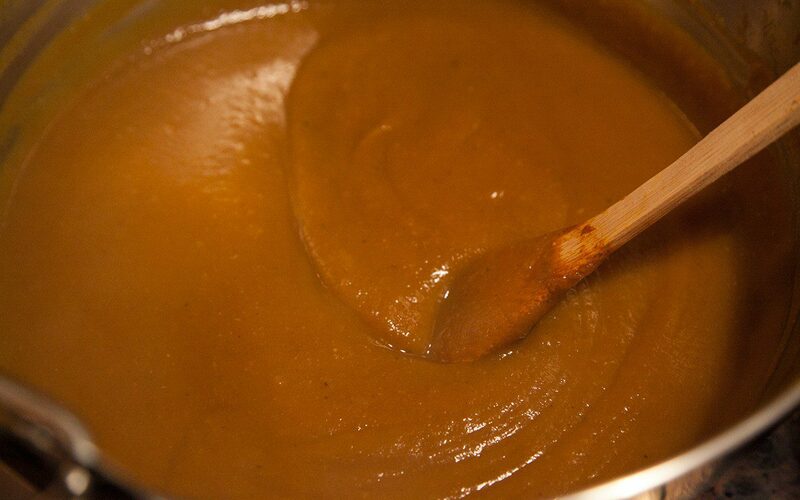 Traditional brown sauce recipes are based on tomato, but I thought that both the sweetness and texture of apples could stand in for them, particularly when brown sauce is primarily a vehicle for full-flavoured spices. 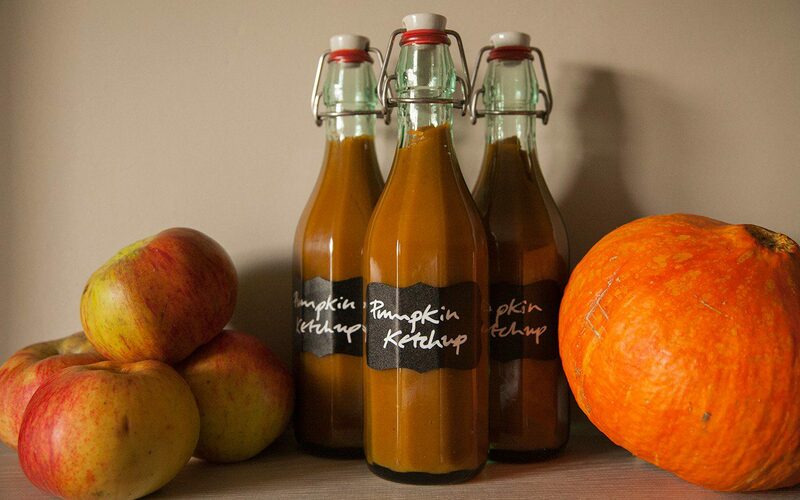 And so came the idea of a making a spiced ketchup where the sweetness and texture of tomato are replaced with those of pumpkin. Historically ketchups were developed from fermented fish-based sauces from the Far East which were brought to the west by the British. In 18th century England they started as dark, savoury table sauces made with mushrooms, anchovies and even walnuts. The development of tomato ketchup took place in America in the early 19th century and this is when recipes for the sauce that we recognise as ketchup today first appeared. Traditional flavourings for tomato ketchup included allspice, mace, ginger, nutmeg and coriander seed. Since all of these, and more, feature in the Moroccan spice mix Ras el Hanout, I decided to use this as the basis of the spicing for this ketchup. I enjoy the process of making my own spice mixes with a mortar and pestle. The gradual change of texture as the whole seeds and ground spices combine into a fragrant powder is a gratifying experience. You can also balance the proportions of the spices to suit your own tastes rather than relying on a pre-made spice mix which may be a little stale, too heavy on the cloves or cinnamon or lacking the pricier components like mace. To counteract the sweetness this ketchup needs a good kick of heat. Last year, in keeping with the Moroccan flavourings, I used a combination of harissa and smoked paprika, adding the harissa separately from the spice mix. Earlier this year I was given a large bag of fresh chipotle chilli powder by a friend who had been to Mexico and, since both pumpkin and chilli are native to this part of North America, they seemed a natural pairing. If using ready made Ras el Hanout check that it contains chilli, as some varieties don’t. If so you will need to add the chilli separately. As with all preserves containing vinegar this ketchup needs to mature before use. However, since the amount used is relatively low in proportion to the other ingredients, it can be used within 2-3 weeks, so there is still time to make a batch for Christmas presents. The flavour improves and develops the longer it is kept. Use as you would tomato ketchup or brown sauce with fry ups, burgers and sausages, as a marinade for chicken, lamb and pork, or as a seasoning for soups and stews. Cut the pumpkins in half. Scoop out the seeds and peel, removing any parts that are soft. Chop into pieces and put into a large preserving pan with the peeled, cored and chopped apples, coarsely chopped onion and peeled, trimmed garlic cloves. Lightly toast the fennel, cumin, coriander and cardamom seeds in a small frying pan. 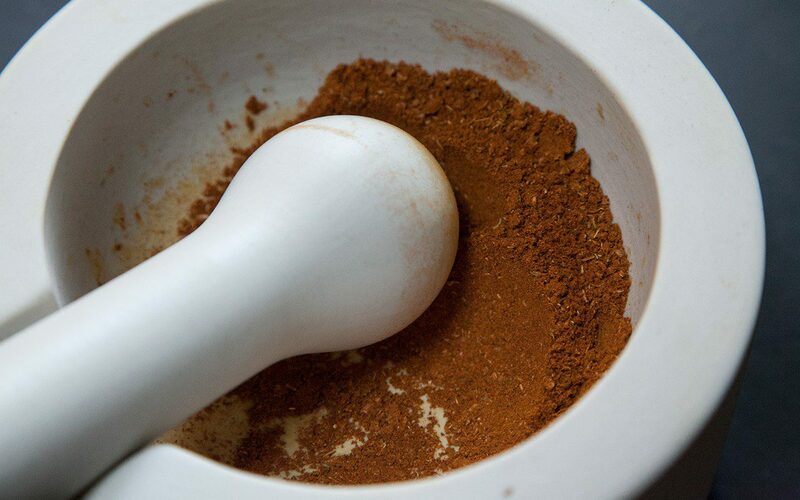 Put with the remaining spices into a mortar and pestle or spice mill and grind to a fine powder. Add to the pan with all of the remaining ingredients, apart from the vinegar and sugar. Pour in just enough water to initially prevent the vegetables from catching. They will produce plenty of liquid as they start to cook. Put the pan over a moderate heat. Cover and cook gently, stirring from time to time, until the vegetables are soft and broken up. 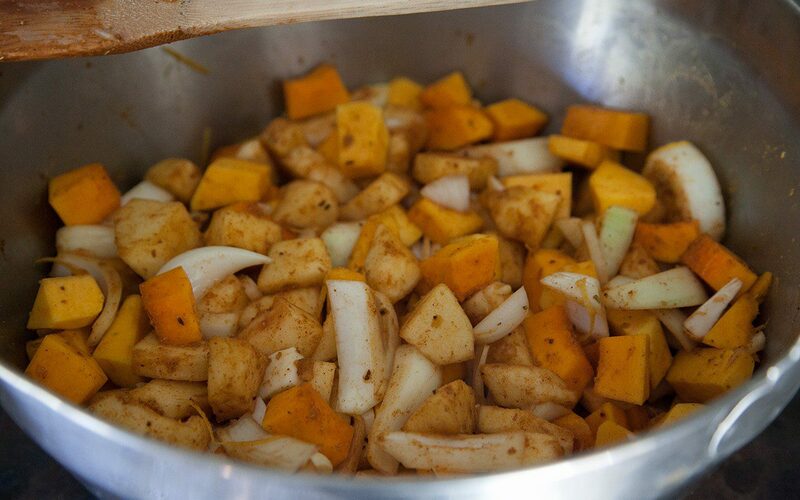 Pass the cooked vegetables through a food mill, or process to a smooth puree with a stick blender. Add the sugar and vinegar and return the pan to a high heat. Cook, stirring continuously, until the mixture thickens. The sauce has a tendency to splutter, so it is advisable to use an oven glove or wrap your hand in a tea towel while stirring. 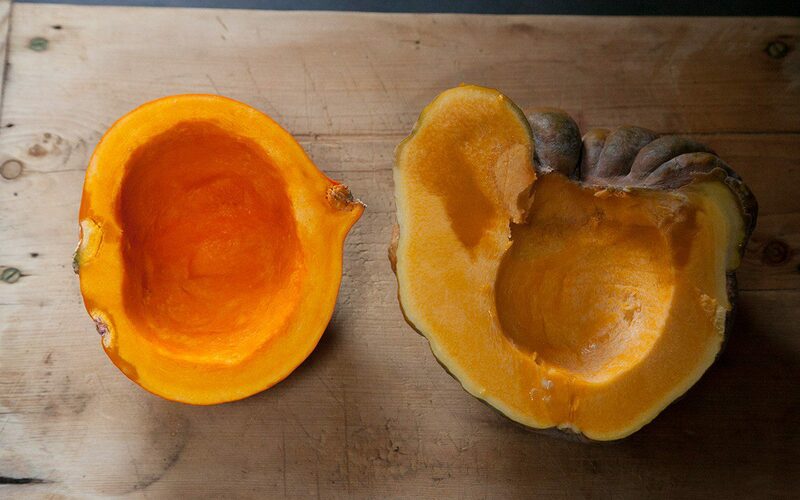 The type of pumpkin you use will determine how much water is given up during cooking. You want to boil it until you have a homogenous sauce with no liquid separated from the solids. The consistency should be a little looser than you want it on the plate, as it continues to thicken as it cools after bottling. Using a funnel pour into sterilised, heated glass bottles or jars with rubber seals and vinegar-proof lids. Close immediately. Once cold label and store in a cool, dark place. It will keep for a year or longer. Makes about four 500ml bottles.